Chicago Mayor Rahm Emanuel wants to make his city a hub for the tech industry. More and more businesses are recognizing that the Windy City is a great place to live because of its strong transportation system, affordable cost of living and vibrant arts and cultural scene, Emanuel said during his SXSW interview. He and Michelle Boone from Chicago’s Department of Cultural Affairs talked to Groupon co-founder Brad Keywell about the plans to establish the city as a destination for creativity, innovation and the arts. The mayor said a thriving arts community is important for making a city a desirable place to live and work. Fun fact: His commitment to the arts was informed in part by his background as a ballet dancer. 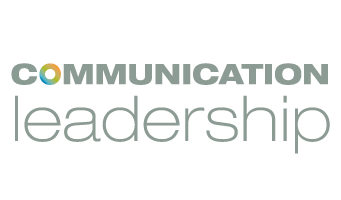 A highly noticed communication breakdown occurred today when Twitter was out of commission for twenty minutes. 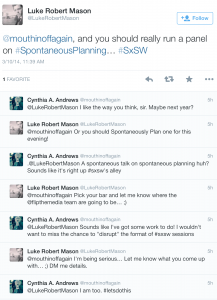 If Twitter goes down for 20 minutes during SXSW, do those 20 minutes of SXSW really exist? Wait, a cookie? Well, it’s not any old cookie. 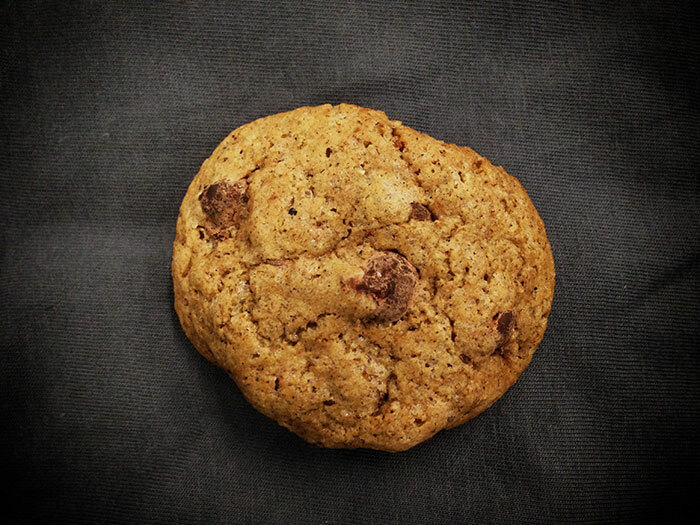 This cookie is made with cricket flour and it tastes delicious (really). Each one contains 5g of protein and a couple of them could be a complete breakfast. Bitty, the maker of this treat is one of many well-funded Silicon Valley start-ups trying to make insect food cool. Featured in the “Visually Turning Complexity into Clarity” session this real time map of wind patterns in the US blew us away! 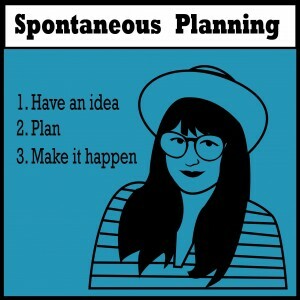 Erica Kochi, who works at the UNICEF Innovation Lab, had this piece of advice for nonprofit leaders and anyone else whose mission is to bring new ideas to life: Get together regularly to talk about what didn’t work. UNICEF Innovation team holds Fail Fridays, a dedicated time to discuss and learn from mistakes. 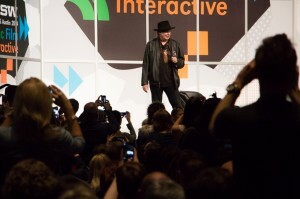 Neil Young, of course, who was at SXSW to promote Pono, his new music device and download store. 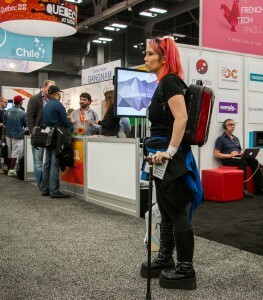 This woman had the presence and dignity to carry off this striking tech look. What else can we say about the comfortable, chic black outfit and ultrafashionable boots? We might not want to walk miles in those heels, but they looked great. And the hair color was the final, imaginative touch. You may know Dana Brunetti from his work producing “The Social Network” or more recently “House of Cards” but you may not know that he started as an assistant for Kevin Spacey. He claims he has built his career through learning by doing, trusting his intuition. 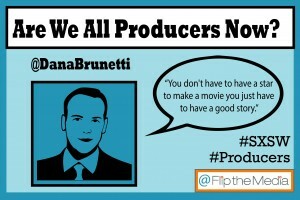 He believes that “anyone can be an executive producer”. 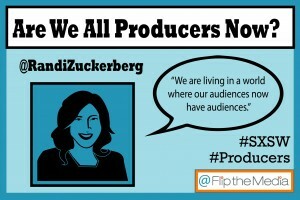 In a SXSW featured session “Are We All Producers Now?” Zuckerberg Media’s Randi Zuckerberg interviewed Brunetti on his career, artistic decisions, attention to social media and the content producing culture of today. “Everyone has the ability to film and produce a video with their smart phone. It’s a fantastic time for content creators,” said Brunetti.